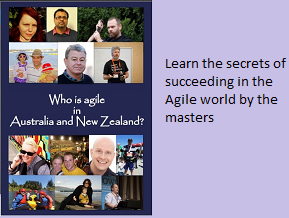 Agile World: How to be an effective Product Owner ? Product Owner (PO) plays a pivotal role in Scrum projects. As the saying goes “Garbage in – Garbage out”, if the PO provides poor quality requirements, the developers churn out equivalent code, and in turn an inferior product. We keep seeing a lot of failed products in the market. If we track back and identify the root cause of these products, it would have some connection to the requirement gathering phase. In Scrum, the product Owners own the backlog. It is extremely important to do due diligence while choosing a PO. Larger organizations running multiple projects, and many releases find it difficult to identify good product owners for all projects. They end up picking and sending any one with some knowledge of the domain and tagging them as POs. This is dangerous and inefficient way to fill such a key role. Based on my past coaching experiences on several Scrum projects, I have found several factors influencing the PO role. I have put together these factors in the form of a picture. Scrum Projects will be very effective if the following points are kept in mind while identifying a suitable person for the PO role. 1. Lack of Agile/PO training: It is important for designated Product Owner to have undergone Agile, Scrum and Specifically PO trainings. 2. Organizational Complexity: Large organizations with several groups, sponsors and IT departments creates their own complexity . I am sure experienced coaches working with large multi national corporations would vouch for this. 3. Lack of domain knowledge: There is nothing worse for a PO to be leading this role with no proper domain knowledge. 5. Not enough Authority: POs with inadequate authority in making decisions, not only leads to waste due to sign off processes, but also creates frustrations among POs. Are you aware of other factors impacting effectiveness of PO ?